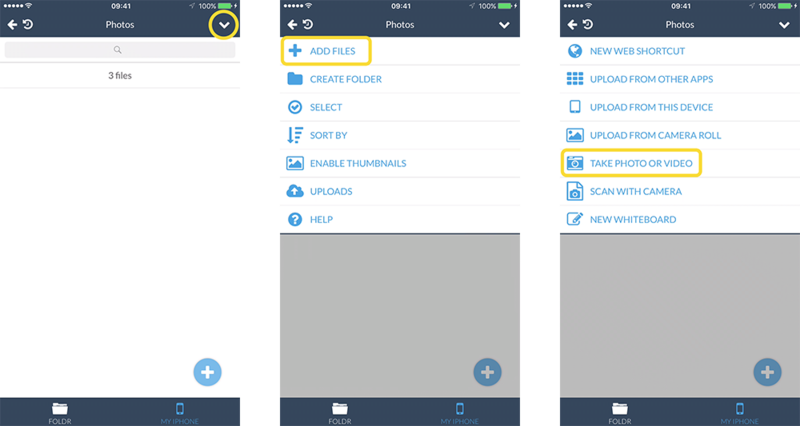 From within Foldr for iOS, you can use your device’s camera to take photo and video. Photos and videos are saved to the location from which you launched the camera. They are not stored on the device itself. The camera will appear. Choose PHOTO or VIDEO and press the capture button.